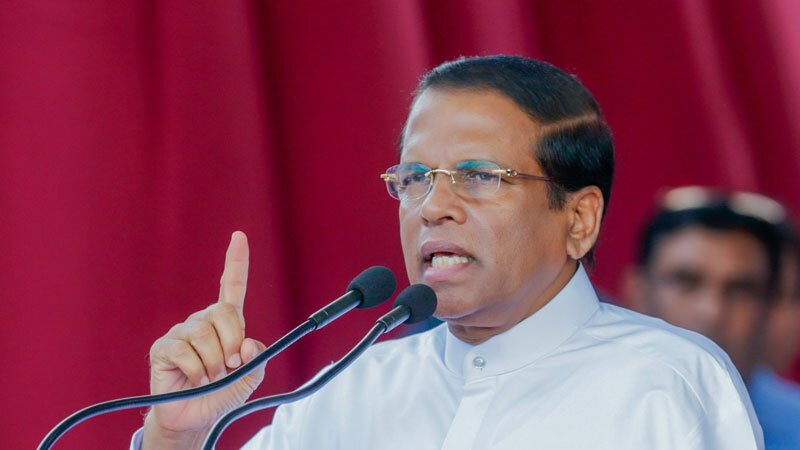 President Maithripala Sirisena said he will use his powers to place his signature to execute the death sentence on traffickers sentenced to death for drug offences. This will be enforced on convicts who continue to operate the drug racket from their prison cells. The President said this participating in the inaugural ceremony of the Mathata Erehiwa Pasalen Javayak (thrust against drugs from the school) programme held at the Getambe playground in Kandy last morning. This programme is conducted countrywide jointly by the Education Ministry and the Presidential Task Force on Drug Prevention concurrent to the National Drug Control Programme. We honor H.E for his deep commitment to not only eliminate drug offences from children upwards, but to uproot it from society with elimination of responsible drug lords imprisoned. The behavior of the drug possessed is tragic for all, and that insanity must be brought to nothing as it infiltrates all aspects of society, including the sexual filth and mind control, the goal of university ragging. The drug entry points into country are overlooked by high officials for bribes, causing gross injustice to citizens battling to lead children along moral paths. The Buddha never craved money "thanha" but gave it all up. Some political religiofacists crave both money and power and use monks in the process, giving monks authoritarian violent rule which monks do not possess legally over civilians. Further, their repulsive addiction to beetle chewing, the ingredients in the chew being scientifically accepted as cause of oral cancer. This leaves a heinous legacy for ignorant village community to get cancer, who even wash the spittoons as if it is a sacred duty. MPs should not hype SB religious mania for votes or small Sri Lanka could become worse than Jihadists/ISIS or any rebel violence.